Last month I posted about lace making in the small Devon town of Honiton. This month I am looking at the same town, but different trade - that of pottery. Honiton is a small market town in the county of Devon. It's on the main road between London and Exeter and therefore was the ideal place for trade before motorways. 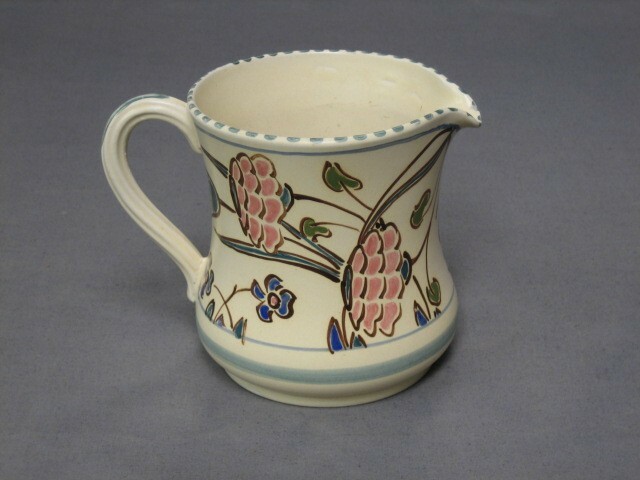 Pottery has been made in Honiton for hundreds of years, but it's only the last 70 or so years that it's become famous. In 1918, Charles Collard, set up his studio on the high street. He was already well known in pottery circles having worked at in Poole, Dorset, another famous pottery town. Due to ill health Charles sold the pottery in 1947. 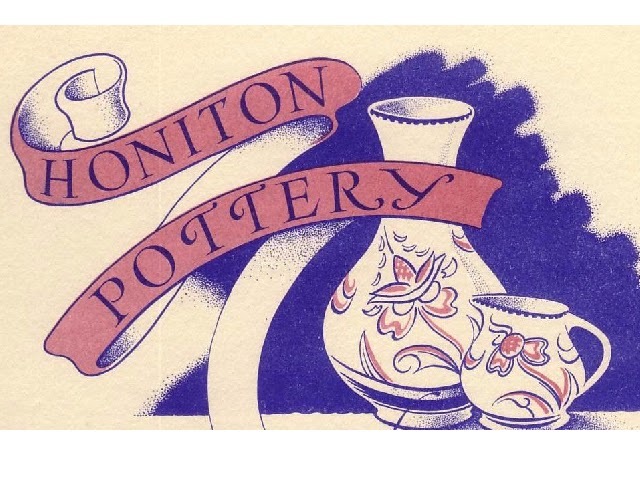 But Honiton Pottery continued trading until 1997 when it was sold to Dartmouth Pottery, another famous Devon pottery workshop. 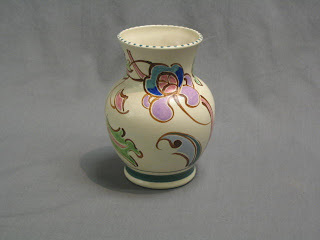 Honiton Pottery Collectors have put together this You Tube video showcasing more of the pottery here.